In this disturbing short story collection, Joyce Carol Oates explores the inner lives of vulnerable girls and women. Joyce Carol Oates is renowned for her rare ability to "illuminate the mind's most disturbing corners" (The Seattle Times). 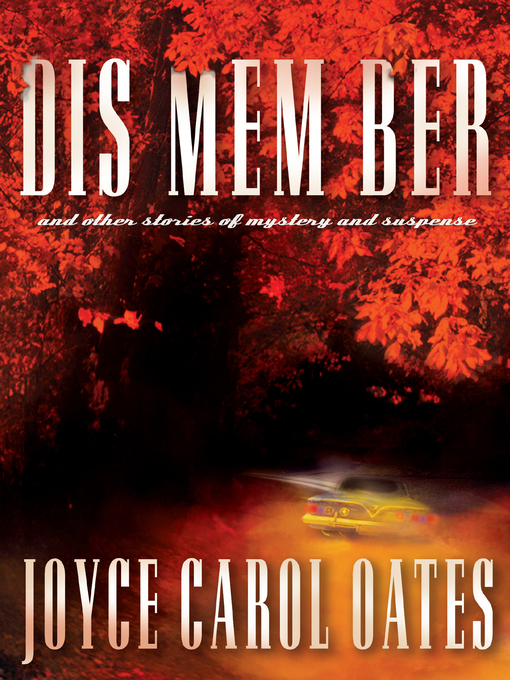 That genius is on full display in this collection of seven feverishly unsettling works, DIS MEM BER and Other Stories of Mystery and Suspense. In the title story, a precocious eleven-year-old named Jill is in thrall to an older male relative, the mysterious, attractive black sheep of the family. Without telling her parents Jill climbs into his sky-blue Chevy to be driven to an uncertain, and unforgettable, fate. In "The Drowned Girl," a university transfer student becomes increasingly obsessed with the drowning/murder of another female student, as her own sense of self begins to deteriorate. In "Great Blue Heron," a recent widow grieves inside the confines of her lakefront home and fantasizes about transforming into that great flying predator unerring and pitiless in the hunt. And in the final story, "Welcome to Friendly Skies," a trusting group of bird-watchers is borne to a remote part of the globe, to a harrowing fate. At the heart of this meticulously crafted, deeply disquieting collection are girls and women confronting the danger around them, and the danger hidden inside their turbulent selves.